August 3, 2013 - Sunset Beach, NC - Former Brunswick County Emergency Services Director Randy Thompson, a Republican, has announced that he will run for the District 1 seat on the Brunswick County Board of Commissioners in 2014. Thompson, now a small business owner, is seeking the seat currently held by Board of Commissioners� Chairman Phil Norris, who has announced that he will not seek re-election. 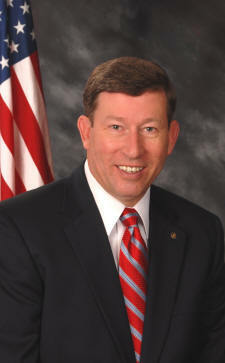 Thompson, 55, retired from his role as Brunswick County Emergency Services Director in December of 2009. He worked with Brunswick County for nearly a decade and has over 30 years of local government service, most of which focused on public safety and emergency management-related issues. Upon his retirement, Thompson received the Order of the Long Leaf Pine, North Carolina�s highest civilian honor. He lives in Sunset Beach with his wife, Sharon Kirby Thompson. They have two adult children and are members of Seaside United Methodist Church.